Almost half of Germany’s pharma and health companies do not believe they need to embrace digital technology, according to a recent government report. 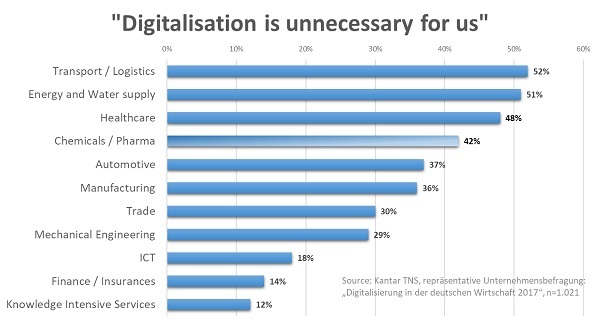 Hanno Wolfram puts the case for digitalisation in the German healthcare sector. In Germany 27% of businesses generate more than 60% of their revenue through digital means. However, a monitoring report from the country’s Ministry of Economy puts the German healthcare and pharmaceutical industry low on the digitalisation table. 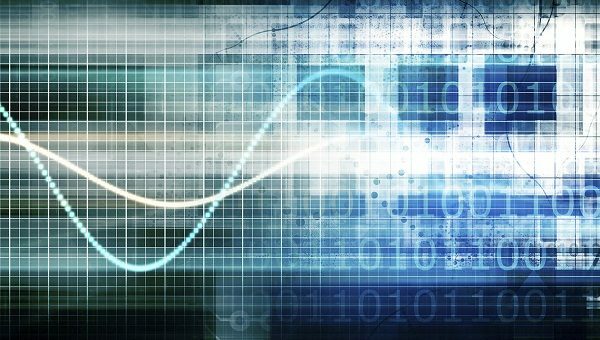 There may be many reasons for reluctance, but there is an urgent need for greater digitalisation in the sector. Digitalisation, in the context of this research, means ‘the amount of business generated through digital means and channels’. In the pharma industry, though, digitalisation should be more humbly defined as ‘the move from individual, paper-based procedures to structured, designed, and repeatable processes supported by digital technology’. The core issue holding the industry back may be its traditional aversion to risk and the fear that any change could jeopardise the status quo, namely the legacy of cushioning wealth and comfort zones from its spoiled past. Many physicians and other healthcare professionals still resist the use of digital technology to democratise content, to manage consistent and repeatable processes, and share knowledge. But digitalisation can introduce new ways to serve patients. For example, in a health context, it could mean that everyone has access to the same dataset, telehealth is an accessible option, and patients own their health records, granting access rights, and adding their own data from whichever device they prefer. However, these scenarios may still be some way off. Some pharma companies are relying on their existing profits and previous success, and buzzwords like ‘patient centricity’ are paid little more than lip service. However, it should be remembered that the industry also sits on unique and huge resources of disease knowledge, which could be leveraged to better serve individual patients. The phrase cave linguam was an oft-heard phrase in the past when hospital department heads were on their ward rounds. It was a warning to younger colleagues that they should not discuss too many details with the patients. In contrast, these days there are websites to translate medical terminology into language patients understand, working groups to help them better understand pack leaflets and, of course, ‘Dr Google’. And the patient is no longer an amorphous blob. Today patients are individuals seeking accurate information on their condition, what its impact is, and what they can do to mitigate its effects. Support for millions of individual patients can only be achieved using digital technology. It is not only the UK’s NHS that is dedicated to establishing a paperless healthcare system in support of patients, leveraging the huge and disruptive power of digital informatics. The goal of digital healthcare is to enable and demand active participation from patients, helping them to ask the right questions, allow access to appropriate and certified information about their own health conditions, and support them in adding their own data to their individual health records. It could well be that a digital start-up turns healthcare upside-down. Disease prevention, patient care, and ‘radical patient-orientation’, could happen suddenly and demote pharma to nothing more than an exchangeable component supplier. ‘Who does not change, will be changed’ will prove to be the rule. Do not forget that companies like Verily, the healthcare arm of Google, which has access to the world’s best talent, and Apple, with its abundant financial resources, are preparing to move more forcefully into the healthcare sphere. Healthcare deserves, needs, and will receive, a mighty push towards digitalisation. And there are numerous ‘windows of opportunity’ for pharmaceutical companies. We will wait to see who will open one. Hanno Wolfram is the founder and owner of www.Innov8.de, a Germany-based firm offering consultancy for pharmaceutical companies. 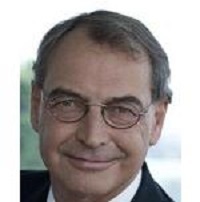 He is the author of ‘KAM in Pharma 3.0’, an international textbook about Key Account Management in pharma.